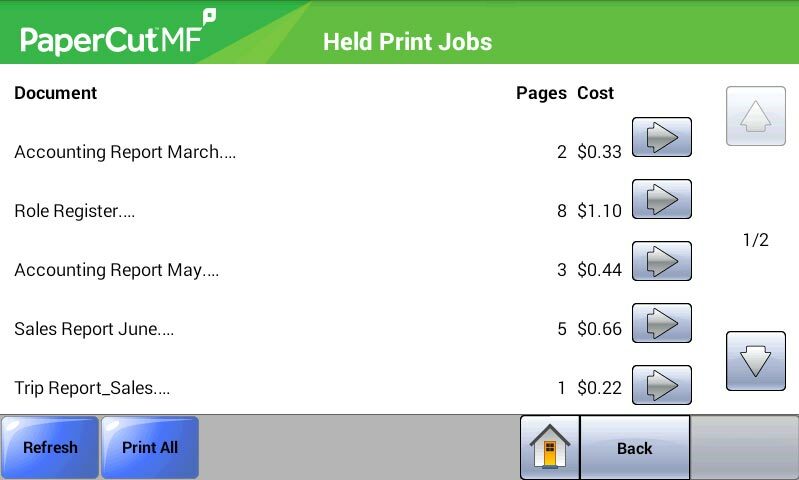 PaperCut MF - print, copy and scanning control for Lexmark MFDs. Take control and manage printing on Lexmark multifunction devices. Calculate, recover and reduce print output costs across your organization with PaperCut MF on Lexmark printers and multifunction devices. Supported by your Lexmark Reseller and a worldwide network of experts. Report usage and costs by page, user, cost center/department, device and function. Leverage your existing sign-on infrastructure and put users in charge of their own documents with Find-Me printing. Set up printer job authentication for Lexmark login using Microsoft Active Directory, LDAP, or other authentication sources and enable Secure Print Release via username and password, ID numbers and PINs, proximity or swipe card. 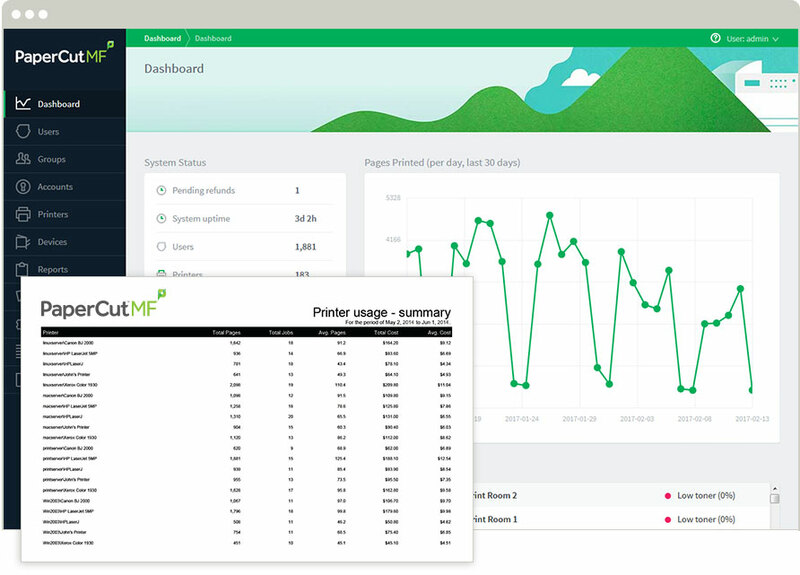 As of release 17.3, PaperCut MF for Lexmark MFPs now offers users an integrated experience with the Lexmark Scan Center solution through the use of a Single Sign On (SSO) process. Once a user logs into PaperCut MF at the MFD and is authenticated, they will be automatically logged into the Lexmark Scan Center to ensure all scan jobs are tracked and costed in one easy process. Chargeback printing made easy through the tablet like e-Task™ touch screen panel on each Lexmark device. "It forces people to rethink printing, and that is reducing paper consumption." The following table is an indication of supported models of Lexmark, although newer models may not be listed here. If you are unsure as to whether PaperCut MF is supported on your model, please ask your Lexmark representative or reseller.